4.6 million plastic bottles end up in the Cambodia countryside monthly as a result of tourism. The Refill not Landfill campaign aims to reduce this number by providing free water refill for travelers. Babel Guesthouse has been part of this campaign from its initiation. 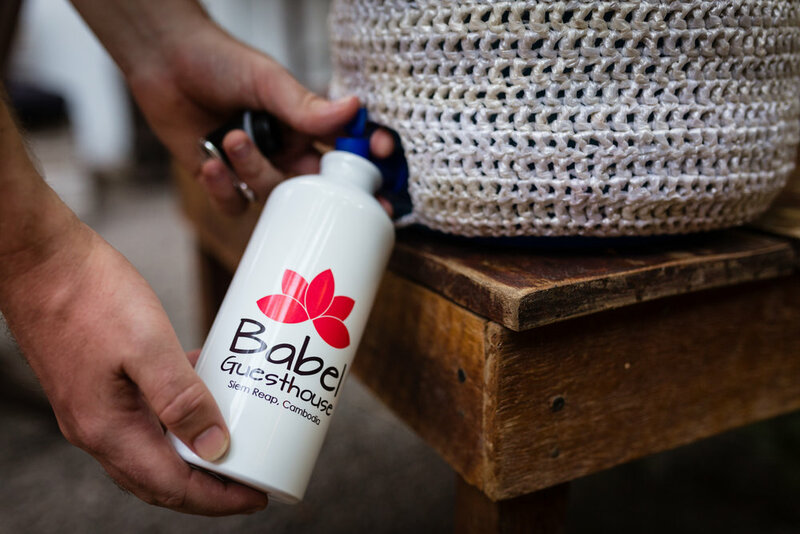 We provide free water in our refill station, and our guests can support this campaign by purchasing a reusable aluminum bottle at Babel Eco-shop and Refill Station. You can simply fill up this bottle at refill stations all over Cambodia and several neighboring countries. Check out the map for refill stations HERE!